Tower Climb previously called Mast Climb has relaunched after being closed for renovations and maintenance. Our new Tower Climb experience is new and improved with all new equipment, hand rails, hand holds and ascent itinerary. 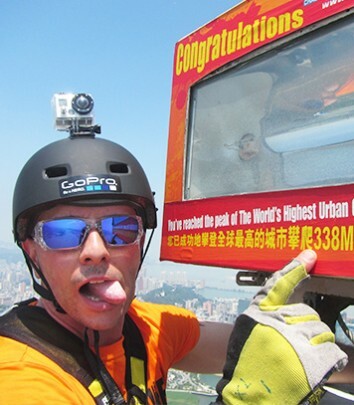 Conquer Macau’s highest summit at 338 meters/1109 feet. 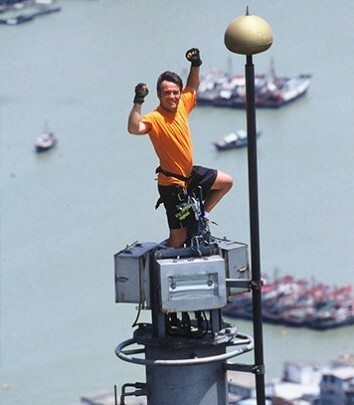 Stand at the very top of the iconic Macau Tower by climbing 100 meters up the mast’s vertical ladders. 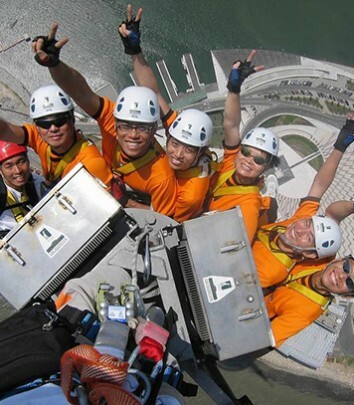 Tower Climb can guarantee the maximum height exposure and best 360 degree views. This activity requires clients to be in moderate shape – it is a very physical product and not for the faint of heart! 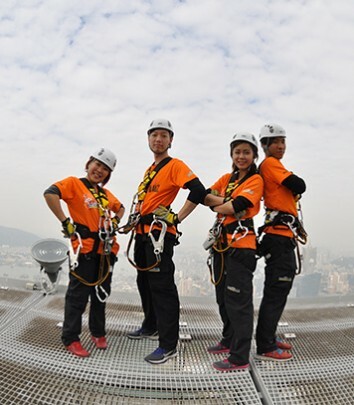 Our own adrenalin addicted thrill seeking crew rate this as one of the scariest activities we have! Being out in the open and exposed to the vast void of space is an experience very few people get to experience. This is one of the MUST DO adventure activities for anyone that loves pushing themselves and exploring the unknown! It should take around 2.30h to 3h. Advanced Booking: We accept online bookings in advance up until 24h before the booking date and time at: www.ajhackett.com/macau/. Please note bookings are accepted on the day only by phoning our booking hotline on (853) 8988 8656.